Light tender layout will underline the beauty of your jewels. Elegant fonts are appropriate for the theme. Drop down menu keeps the design uncluttered. 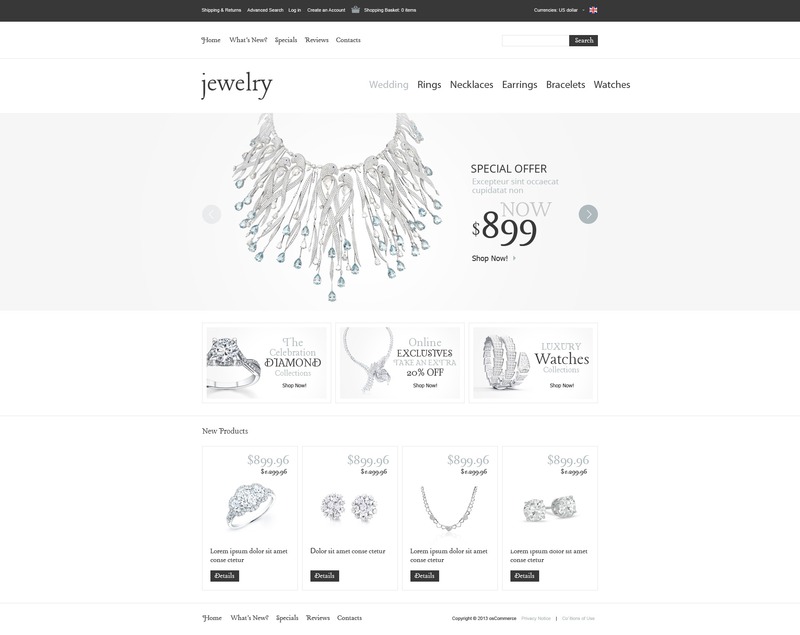 Large slider images render the splendor of offered jewels. Three banners separate header from content area. Featured products stand in four columns. Back to top button is available in the right lower corner of the page.